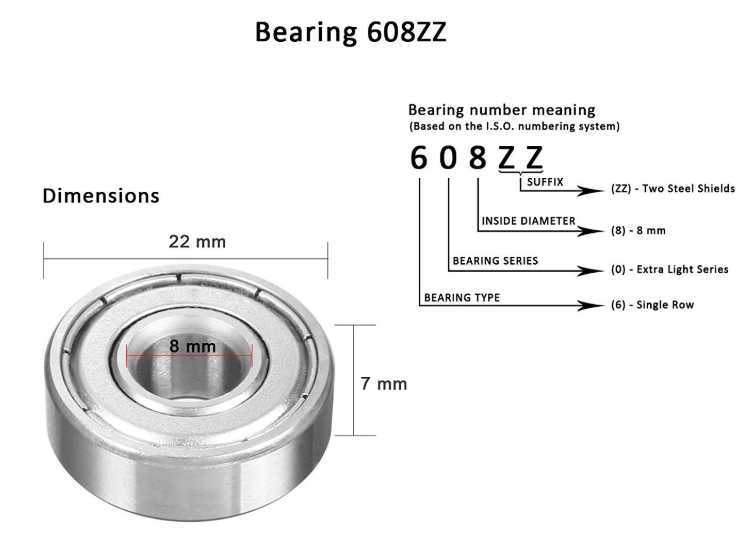 The 608ZZ is a roller bearing which carries a load by placing rolling elements between two bearing rings called races. The 608ZZ is the standard size for skateboard wheels and is used in many different projects because of its low cost, high availability and having a convenient center diameter of 8mm. This bearing is used in many 3D printers. Hint: 5/16" is 7.94mm. Click the button below to add the 608ZZ Roller Bearing to your wish list.